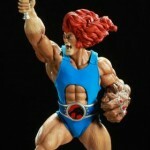 This is a BIG Lion-O. Really big! 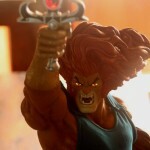 From base to sword tip he’s 32 inches (81 cm), when this Lion-O roared on to the scene he was the biggest licensed ThunderCats character rendering ever. 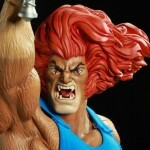 Not only is he big, he’s highly detailed and the limited edition version even honors the classic LJN action figure with light up eyes AND a light up Eye of Thundera. 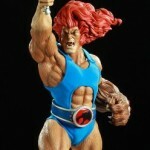 His clothing is also made from real fabric and is carefully tailored to fit. 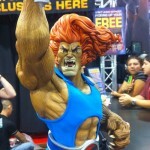 Lion-O’s trademark blue costume is made from a blue lycra-like material. The suit comes apart via Velcro fasteners on the shoulders which allow you to access the hidden battery compartment on his back. The light up feature looks so cool, that for the extra $25 it is SSOOO worth it to get the limited edition. 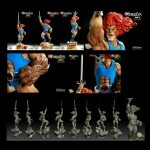 The statue comes with two different Sword of Omens accessories that can be swapped out on the piece. The first is the classic panther logo while the other is the closed “Cat’s Eye” of Thundera version. 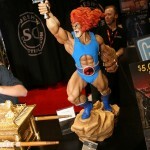 Jerry has a keen understanding of the statue buying market and he understands ThunderCats fans too. 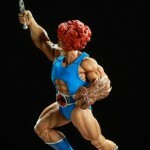 In the large premium format that he works in, a conservative cartoon accurate statue simply wouldn’t work, and Hard Hero had already placed itself in this space anyway. 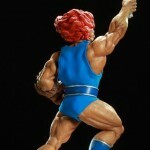 Buyers of the 1:4 scale Pop Culture Shock want a detailed, dynamic stand out statue, and that is what the team delivered. 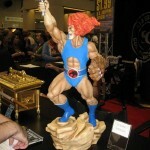 It’s an impressive and imposing center piece for any ThunderCats collection. 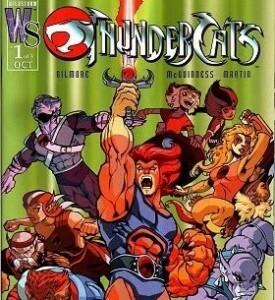 This is a contemporary ThunderCats rendering, drawing its inspiration from the much loved Ed McGuinness artwork from the Wildstorm Comics. 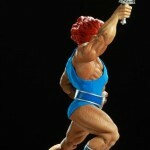 In fact the pose is a close homage to the cover of the first issue (see above). This is a new iconic and hugely powerful pose, and brilliantly chosen by Jerry and Khurram. 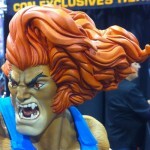 Our friend Ed McGuinness would be delighted with the statue. 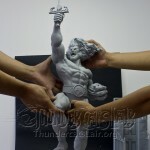 We at ThunderCatsLair.org were delighted to work closely with Jerry during the production phase to reveal teaser and work in progress images, as well as conduct the first media interview about the line. 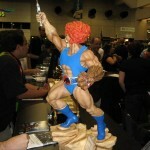 Our team was thrilled to see the Lion-O featured at San Diego Comic Con in 2010. 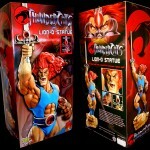 We also followed the unboxing videos and watched how collectors’ shelf spaces re-formed around the addition of this towering Lord of the ThunderCats. 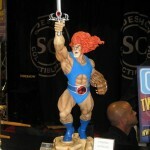 The Lion-O statue was digitally sculpted by Khurram, he didn’t have to touch an ounce of clay or a single knife to create this statue. 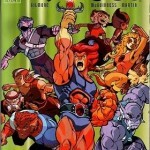 The promotional pictures showed Lion-O’s belt emblem as a light up feature for the Limited Edition, this was an error, Jerry never intended to light up this part of Lion-O. 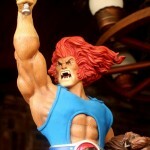 A number of fans waited for hours for the statue to come online for ordering because they had confused the timezone. 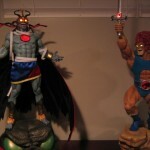 Prior to the statue going up for order, Jerry announced there was a third exclusive feature besides the two light ups. 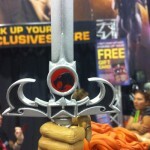 This turned out to be a second interchangeable sword with the “asleep” version of the Eye of Thundera. 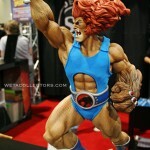 When asked if Lion-O would include a Snarf mini figure Jerry rightly explained that with such a noble pose, he couldn’t see how a Snarf would fit in without diminishing the overall effect. Good call!